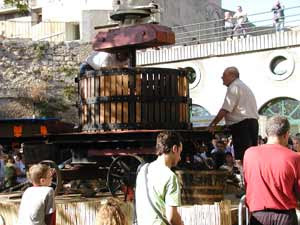 Ouveillan’s ‘Fetes des Vendanges’ (Festival of the Harvest) is a festival of Wine and Craft. This old tradition continues every October and is one of the highlights of the Languedoc calendar, with its many parades, festivities and markets. These markets range from amateur car boot sales, to flea markets, to professional craftsmen and women offering their hand-crafted wares, folklore and music. The festival has a lovely atmosphere of the old and the new, with old traditions continuing strongly, whilst still welcoming new innovations and skills. The festival’s history is rooted in the traditional festivities of the end-of-harvest season. The end of the harvest was often a busy time, with field workers often working frantically and long hours to get the crop in for the year. 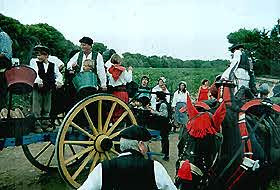 Exhausted by their efforts, the workers would celebrate the close of the season, with festivities which evolved into the present-day Fetes des Venanges. The mood was not simply relief that a busy time had now passed, but also to thank each other for the hard work that had been put in, to celebrate the success of the crop and to farewell the end of the agricultural year. 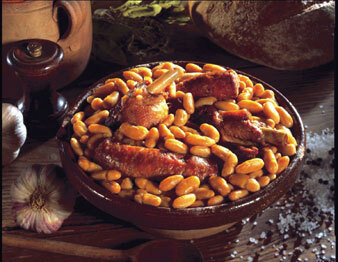 A large part of their festivities was to put on a big feast of cassoulet, poultry, mutton and plenty of wine. The atmosphere was boisterous and everyone sang loud drinking songs, accompanied by the rhythmic banging of tables and stamping of feet. 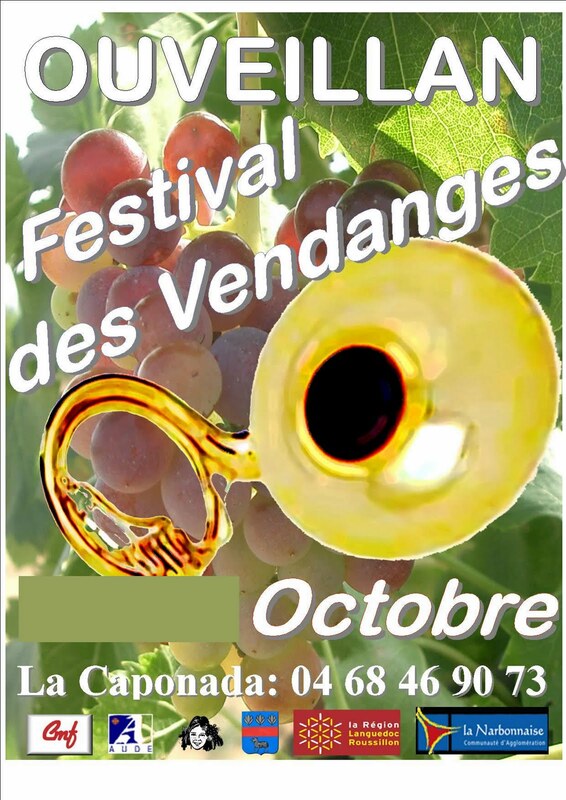 Today, the festival has grown to encompass more than a big dinner – but the cheerful spirit is still very much a part of the Fetes des Vendanges. Ouveillan is a short distance from Narbonne and Beziers. This charming town began as a ‘retirement village’ for romans looking to spend their final days pottering around the garden, tending grape vines and drinking good wine. The town may have become a little more lively since then, with people of all ages now inhabiting the town – however the focus on wine hasn’t changed. In this town of one butcher, a couple of bakeries and food stores, two doctors and dentist – we also find several wineries. Keeping the villagers thirst at bay seems to be much more of a priority than looking after their teeth! Even if you miss the festival, Ouveillan is still worth a visit – it has markets several times a week, roman ruins and – as mentioned above – several wineries!